Getting more clients for your professional services business is extremely effective using web video marketing. Videos have a much higher conversion rate than just text, and make it easy for you to explain, inform and educate prospects in the ways that you can help them. Videos also develop trust, as the viewer can see you on the screen get to know you and your business. More than 60 percent of consumers will spend at least two minutes watching a video that educates them about a product/service they plan to purchase. CASE STUDY: We’ve recently produced a series of videos for Financial Wisdom partner, Peel Wealth who are in Rockingham. By leveraging segments of an existing animated video on Statements of Advice, we were able to bring principals Rick Palmer and Katherine Cairns to the attention of prospects and with the video, guide viewers through the Statement of Advice process, while also providing more detailed information about Peel Wealth. While on location, we also produced a client ‘thank you’ video as well as a custom ‘happy birthday’ video, that can be sent to clients on their birthday. But having the final video masters – which will be used as introductions and followup videos – isn’t enough, so we also created and optimised a custom youtube channel. These videos are now in the top 4 positions for a youtube search for ‘financial planner Rockingham’. The videos are also ranking the top 4 positions for Google video search for these keywords. you can’t ignore Web Video any longer. As we have the scripting and edited animation video, we can produce further, customised videos for your Financial Wisdom business. We can create the same video marketing package for your business which includes: scripting, on-location (your office) video recording, editing, masters, optimised youtube channel setup, upload of final videos, video embed codes for your website. You have final approval at each step in the production. 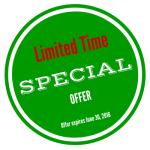 This complete package investment is $1500 + GST if ordered by June 30, 2016. After June, this rises to $1800 + GST, without the bonus video. Call Glenn Heaton on 0408 462 994 to book your video package. 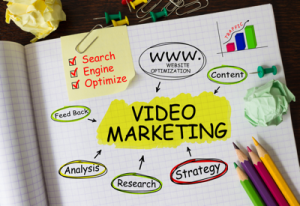 You learn more about the importance of video and video marketing for your business, please click here.